Hugues Gentillon est un médecin-chercheur et un cinéaste d’entreprise. Il a étudié le théâtre à la New York Film Academy et le cinéma et la télévision à l’Academy of Art University. Son projet de thèse AMF se concentre sur la réalisation des thrillers, ce qui est un vaste genre avec des combinaisons infinies. Il est le PDG de YUGY Pictures Entertainment, une filiale à responsabilité limitée, studio de production de film entièrement détenu et exploité par YUGY CORPORATION OF AMERICA. Hugues Gentillon (born December 17, 1974), is a Haitian-born film director, screenwriter, producer, physician-scientist, entrepreneur, conceptual artist, philanthropist, and founder of Yugy Pictures Entertainment, a film production company based in the USA. Gentillon holds dual Haitian-U.S. citizenship and studies in Europe. He reveals the convenience of being able to travel the world with an American passport. 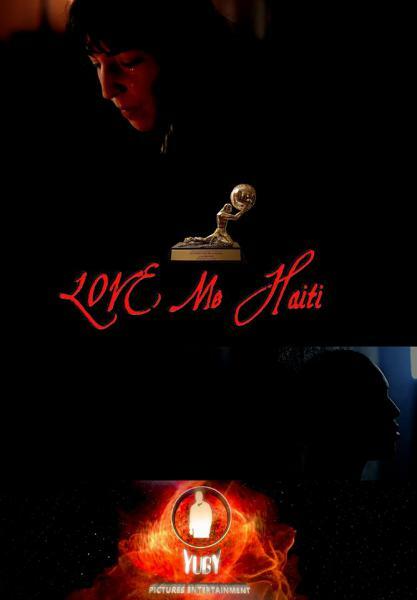 Nevertheless, he also shows his pride for his native country with the film Love Me Haiti, which wins the 2014 Haitian Oscar. 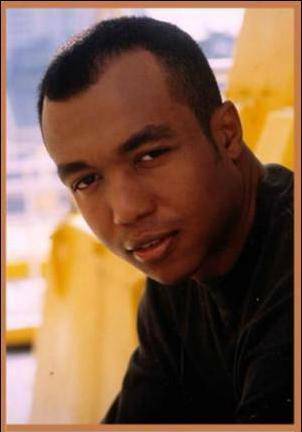 Hugues Gentillon was born, raised, and completed high school in Haiti. He was further educated in the USA and in Europe. He is a physician-scientist and an entrepreneurial filmmaker. So far as his career in cinema is concerned, Gentillon is a relative latecomer to filmmaking. His primary higher education is in medical sciences. Gentillon became known for his fast-paced blockbuster MFA thesis film Love Me Haiti, as well as his distinctive style of directing – So exceptional, unique and distinctive is Gentillon’s style and techniques that he is numerously nominated and invited to film events and his directorial calling-card Love Me Haiti is repeatedly featured in the world’s press. In fact, so remarkable and original, Gentillon rapidly won international acclaim following his collection of Haiti’s Academy Award for best fictional film! Gentillon’s MFA thesis, Love Me Haiti, is a self-consciousness-perspectival, reflective, and interpersonal film. Although the story is set in Haiti, it mirrors a situation that continues to take place in so many countries, especially in the developing world… Gentillon’s masterpiece takes on an emotional and challenging topic – Love and Hate – the film fosters an informed and rational dialogue on the issue. Seven years in the making, his adapted screenplay was conceived at the New York Film Academy and assembled at the Academy of Art University, then traveled the festival circuit, and garnered many prestigious screenings and accolades worldwide. Love Me Haiti officially premiered at the 2014 Marché du Film, organized by the Festival de Cannes, the most prestigious and publicized film festival in the world. Gentillon’s distinctive creation has been subsequently screened at numerous international film festivals. In 1999, Gentillon earned Associate in Art degree in medical sciences, with honors and distinction, from Miami Dade College, and he was awarded a full scholarship to attend the University of Florida, known as the « Harvard of the South ». In Miami, his school adviser and colleagues discouraged him to go there because of xenophobia and the Gainesville Ripper serial killings of students in the early 1990s. Despite the warnings, Gentillon accepted the scholarship and 3 years later completed a Bachelor of Science degree in microbiology and cell science from the University of Florida. While studying there, he worked as an assistant in various private and US government sponsored research projects at the University of Florida. The acquired experience later helped him get a job at a Coca Cola laboratory. Then he studied podiatric medicine for 2 years at Barry University. He abandoned the DPM degree and then switched to allopathic medicine in Europe, where he completed his MD degree. In the medical field, Gentillon did research in computational image analysis and radiological science. He collaborated with the Medical University of Lodz radiology department and the Technical University of Lodz radio-electronics department. His PhD project aims at developing computer-aided diagnostic methods to assist radiologist in making more objective interpretation of ultrasound and magnetic resonance pictures of fetal brain. It was during his medical studies in Europe that he became attracted to neuroradiology. While studying medicine, Gentillon wrote lyrics and collaborated with musicians in the USA and UK. Nevertheless, he was more attracted to filmmaking. As a result, he parallelly studied acting at the New York Film Academy and motion pictures and television at the Academy of Art University (AAU). He managed to complete his MD degree in 2011 and his MFA in 2013. Although his MFA thesis titled « Love Me Haiti » focuses on directing, he was trained equally in screenwriting, directing and producing. The AAU program that he completed prepares students seeking a professional career in the film and television industries as a writer, producer, or director. Hugues Gentillon is inspired by other doctor-artist hybrids in the history of medicine. During his education, Gentillon did not let his advisers make him settle for one or the other – when he can do both!